In most New England towns many families are interrelated even though they have different last names. Hudson is no exception. This week I introduce you to three sisters who grew up on Bush Hill Road, each of whom married men from Hudson, thus making one extended family out of four. Luther Haselton, age 29, and Polly Ladd Smith, age 28, were married here in Nottingham West in 1826, most likely at the Baptist Church in Hudson Center. At that time the Baptist Church was meeting in the North Meeting House, located about where Wattannick Hall is now located. Luther and Polly lived on the Haselton Farm on Bush Hill, in the house adjacent to the Haselton Barn, long since removed. Their family consisted of 2 sons, David and George Washington; and 3 daughters, Hannah Page, Louisa Ann, and Marietta. Members of the Haselton family were hard working, prosperous, considered honest, and prominent in the community. Today I wish to focus on the three daughters and the men each of them married. Dr. David Onslow Smith graduated Harvard Medical School in 1850 and established his practice in Hudson with a reputation as a highly skilled physician. He was also an educator and excellent musician; noted for his singing voice, as a conductor of choral groups, composer, and organist. He was also an educator leading a private music schools and serving on the school committee for the Town of Hudson. He married Mary Hannah Greeley in 1855 and they had 5 children: Minnie, Edmond who died young, Martha Robinson, Herbert Lewellen, and Henry Onslow. Mary passed in 1867, leaving Dr. David Smith with a family ranging in ages from 3 to 11. 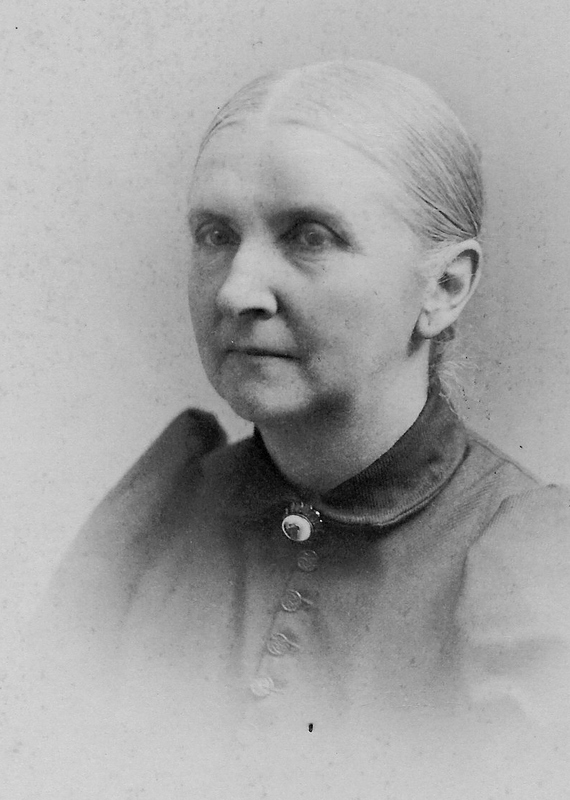 In 1874 Hannah Page Haselton and Dr. David Smith were married. Although they had no children of their own she did enter the existing household and continued with the raising and providing a home for the family. Also, when the time came, Dr Smith and Hannah adopted one of his grandchildren, David Onslow Smith, Jr.
Alphonso Robinson, born 1837, was the 5th generation of the Robinson family to live on and work the farm on Robinson Road. The family homestead at the time was small, likely about four rooms. Alponso lived here with his parents John Anderson and Marinda (Caldwell) Robinson, his grandfather David, and 3 siblings. Louisa Ann Haselton and Alphonso were married in 1862; soon thereafter the small home was enlarged to more than three times the size to allow for multiple generations. Alphonso passed in December 1918, having spent his entire life living on his native homestead. He was a well respected in town and knows for his high ideals. Clifton Buttrick was born in Wentworth, NH July 1846 and moved to Hudson about 1850 when his mother, Sally (Cutler) Buttrick married John Bunyan Robinson. Clifton grew up in a Robinson household with two half sisters, both of whom passed young. Clifton and Marietta (Haselton) Buttrick were married before 1869; living on Clifton’s farm located on Windham Road in Hudson Center. They had one son, Ernest Clifton who died young and twin daughters, Clara and Sarah born December 1870. At some point the twins opted to change their names to Belle and Maybel. Marietta passed in July 1873 at the age of 42. By 1874 Clifton married a second time to Charlotte Colburn. I was surprised to learn that when a son was born to Clifton and Charlotte, he was named George Washington Buttrick after Clifton’s first brother-in-law and friend. Clifton was a respected farmer, served as selectman and trustee and long time member of the Baptist Church. He passed in 1935, at which time he held possession of the Boston Post Cane. The twins lived into their mid 80’s. Maybel became Mrs. Jarome Melvin and settled on Barretts Hill Road. Belle remained single and remained on the Buttrick farm. Both were well known in the community. Here we have four families Smith, Buttrick, Haselton, and Robinson who become one larger family by virtue of the marriages of these three sisters. This shows the importance of following the maternal lines when tracing family history. To use a favorite expression, each of these sisters became the woman behind each of three respected Hudson statesmen. The photos shown here are of Louisa Ann (Haselton) Robinson and Hannah Page (Haselton) Smith. I do not have a photo of Marietta (Haselton) Buttrick. The photo of Louisa Ann, my great grandmother, is from my private collection. 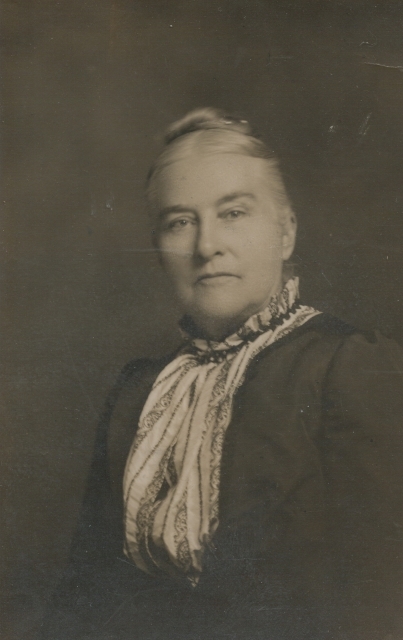 The photo of Hannah Page is from the Historical Society collection, complements of the H.O. Smith Family. By Ruth M Parker in Haselton, People on December 16, 2016 .